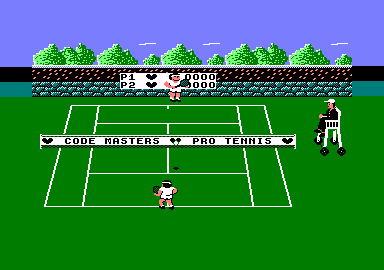 It's amazing, just as interest in summer sports reaches its annual nadir, tennis sims are served at a perplexing rate. 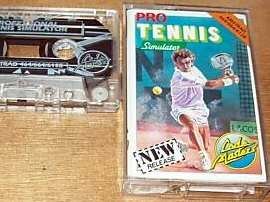 Does Pro Tennis Simulator follow in the sneakers of British tennis greats like Buster Motram? (Or is it good?) The most instantly stunning feature is the 100-word synopsis explaining clearly the rales of tennis. This 'ace service' is followed by excellent graphics. The players are short and tubby but don't let that fool you - they can move around the court at great speed. Control is easy on either joystick or keys, with a snappy response to even the quickest stab of the fire button to make your players hit the ball. Rallies, once they get going, are fun and furious in pace. Two-player games becoming especially intense as both guys scuttle around trying to reach the ball. As a budget game, Pro Tennis is fun and frustrating. 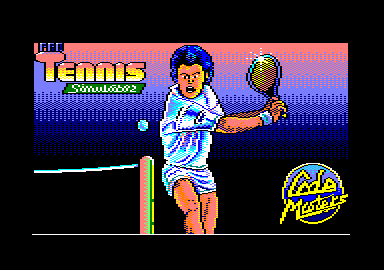 As a tennis sim, it's sadly lacking in the depth of features needed to make it an accurate and playable game. In the great tie break that is life, Pro Tennis appears to be facing match point.